LOS ANGELES - Jan. 18, 2017 - PRLog -- Wizard World, Inc. (OTCBB:WIZD), North America's largest producer of pop-culture and comic con events, today announced the establishment of a new SocialCon™ Operating Unit within Wizard World. SocialCon™ will produce a series of conventions that will feature meet-and-greets, live performances, Q&A panels, autographs, photo ops and more with many of today's most-followed social media influencers. The first SocialCon™ of 2017 will be held on February 17-18, in conjunction with Wizard World Comic Con Portland at the Oregon Convention Center. SocialCon™ will be led by Mike Abrams, founder and CEO of KLiK events, a major producer of social media tours and events, who has joined Wizard World as Senior Vice President of Social Media programming. Abrams will be overseeing all of Wizard World's new social media influencer initiatives, which will be numerous and noteworthy. "SocialCon will enable Wizard World to capture even more of the young audience of millions that follows these stars on numerous social media platforms," said John D. Maatta, Wizard World President & CEO. "By owning this brand and trademark and working with someone of Mike Abrams' skill and experience in this area, Wizard World is well positioned to dominate this space. This is a natural business extension for Wizard World which will expand its foot print into this vibrant culturally-current and lucrative market segment." Maatta continued, "During the last number of months we have been working very hard to create a new vibrant and re-imagined company with professionalism and profitability as its hallmarks. The SocialCon business unit is one of a number of new initiatives that we are rolling-out at Wizard World." "I am ecstatic to join John Maatta, Paul Kessler, and the fabulous team at Wizard World," said Abrams, whose KLiK Events was one of the pioneers of social media events and who has presented large scale shows and tours in L.A. and across the country such as 'Boys Of Summer,' 'CINCO,' and 'Winter Lights.' "As the entertainment landscape continues to change and evolve, especially regarding young people, it is wonderful to be joining a great company that sees the values of social media entertainment, and how it reaches today's younger audience. I am looking forward to great things ahead with Wizard World, a leader in pop culture conventions for many years." SocialCon™ Portland will kick off a schedule of events, following along the Wizard World calendar in Cleveland (March 17-19), St. Louis (April 7-9), Philadelphia (June 1-4), Sacramento (June 16-18), Orlando (August 11-13), Chicago (August 24-27), Nashville (Sept. 8-10) and Austin (Nov. 17-19), with smaller Pop-Up SocialCons™ in various other Wizard World markets. Each will feature talent from among a variety of influencers from YouTube, Instagram, musical.ly, Snapchat, Twitter, and other social media platforms, along with those popular on forums like YouNow, Instagram and Live.ly. 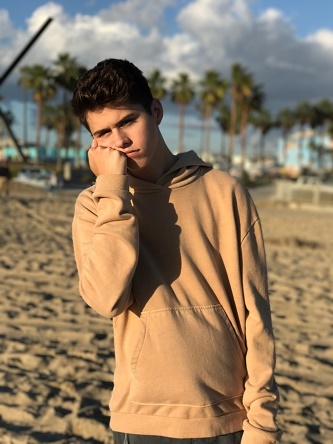 The Portland lineup will include notables Kristen Hancher, Crawford Collins, Justin Blake, featured musical performer Zach Clayton, Nick Bean, Jackson Krecioch, Bryce Hall and special musical guest Johnny Orlando, as well as many others, whose combined follower reach exceeds 50 million. SocialCon™ will run as a distinct event in each city with separate admission, programming and show floor. Various ticket packages and information are available at www.socialcon.com. Wizard World, always on the leading edge of this space, held its first SocialCon™ in Chicago in 2014, in conjunction with its largest and longest-running event, Wizard World Comic Con Chicago, with Nash Grier, Hayes Grier, Cameron Dallas and Carter Reynolds among the guests. Wizard World Comic Con Portland will feature Tatiana Maslany ("Orphan Black"), Dean Cain ("Lois & Clark: The New Adventures of Superman," God's Not Dead), Nichelle Nichols ("Star Trek"), Marie Avgeropoulos and Tasya Teles ("The 100") among the all-star cast of celebrities scheduled to appear, February 17-19, at the Oregon Convention Center. The event marks Wizard World's fifth annual show in Portland and the second on Wizard World's 2017 calendar of 16 scheduled events. Join thousands as they celebrate the best in social media. SocialCon™ (www.socialcon.com) brings many of the top social media influencers and their supporters for meet & greets, live performances, Q&A panel programming and more. The SocialCon™ tour debuts in Portland (Feb. 17-19), with stops planned in Cleveland (March 17-19), St. Louis (April 7-9), Philadelphia (June 1-4), Sacramento (June 16-18), Orlando (August 11-13), Chicago (August 24-27), Nashville (Sept. 8-10) and Austin (Nov. 17-19), in conjunction with those events on the 2017 Wizard World Comic Con schedule (www.wizardworld.com). Follow SocialCon™ on Twitter @wwsocialcon and Instagram WWSOCIALCON. Wizard World, Inc. (www.wizardworld.com) produces comic, gaming and pop culture conventions across North America that celebrate the best in pop culture: movies, television, gaming, live entertainment, comics, sci-fi, cosplay, graphic novels, toys, original art, collectibles, contests and more. A first-class lineup of topical programming takes place at each event, with celebrity Q&A's, comics-themed sessions, costume contests, movie screenings, evening parties and more. Fans can interact with Wizard World on Facebook, Twitter, Pinterest, lnstagram and other social media services.